On today's podcast, Mastering Engineer Maor Appelbaum gives some great insight into the mastering process from a Mastering Engineers point of view. His discography is huge and his knowledge about this topic is only preceded by his humbleness. There were several questions that were curated from podcast listeners, Facebook, and from my email subscribers, that we go in depth on. What is the main purpose of Mastering? What are some common misconceptions of Mastering? What does a Mastering Engineer “hone in” on when receiving a mix? What are the major differences between a professional mix and an amateur mix? 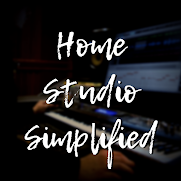 What can we as home studio owners do to provide better source material for Mastering? What is your favorite color? What does it smell like?